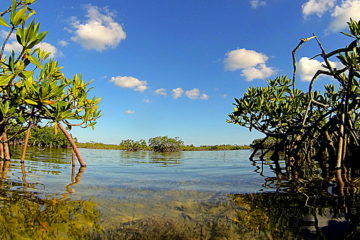 “Winter” here in Key West is almost over and the long awaited spring begins to bear down upon us. Just as one would see flowers start to bloom or hear the songbirds start to sing in northern regions of the country, we see fish with sickle tails appear in the shallows and big silver dragons start to migrate inshore. Our warm tropical waters start to come alive and are teeming with life. The rest of the country may not be experiencing this warmer weather, but down here in the Keys everyone is soaking up the sunshine. 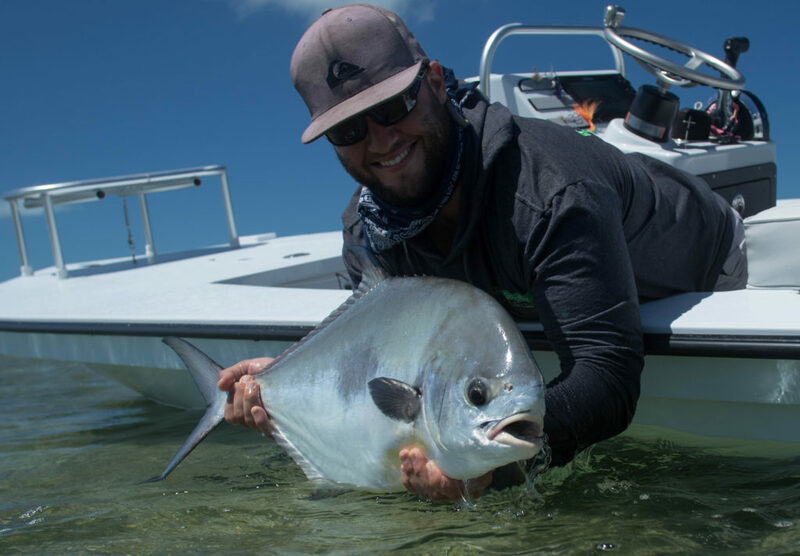 There have been a good amount of hungry permit feeding in the shallows during this warm transitional period. Most have been taken on a live crab but we have been able to trick a handful with a properly presented fly. The warmer weather has also blessed us with a good push of pre-season tarpon. 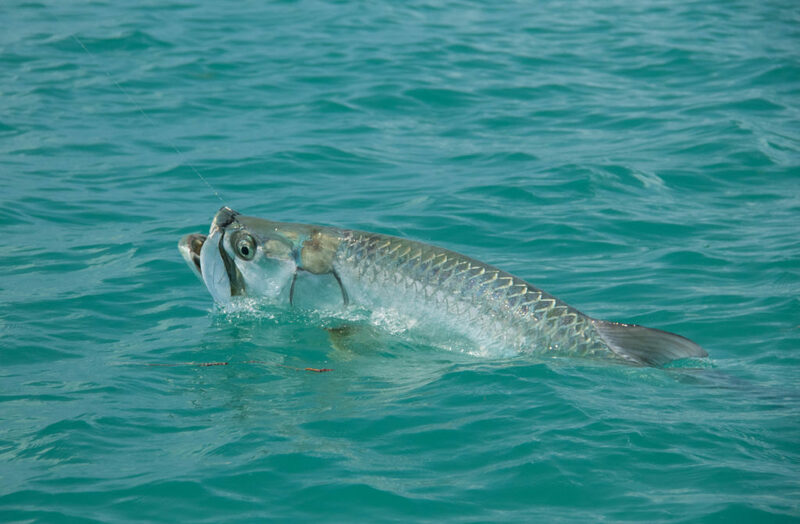 Some of the tarpon carried on about their magical journey, but a lot of them have decided to stay and enjoy the weather in Key West just a little bit longer… Which is awesome! Zzzzzzzz kerrrrr splash! Followed by some yelling ooohhhs and ahhs as a seventy pound fish peels drag and dances out of the water. During the last couple weeks I have gotten a small taste of what tarpon season will bring and I can’t wait! I am sure we will receive another cold front or two before spring is fully upon us but as of now the fishing down here has been absolutely fantastic. The flats have been alive with hungry barracudas, sharks, jacks, and plenty more species that are enjoying the nice weather. Bonefishing should also get better and better as the warmer months approach. The annual migration of monster bull sharks into the backcountry is another sign of an early spring. Along with these massive sharks also comes some cobia into our shallow waters. These guys are just icing on the cake to a fun filled fishing adventure. One thing about the coming spring time that we cannot escape is the wind. Might as well get used to it. If you can deal with a little salt spray on your face to let you know you’re alive and an accurate cast into the wind, it can be your best friend out there while hunting in the shallows. The usually “spooky” flats species feel a bit more comfortable with a healthy 10-15mph breeze and that allows us to get a lot closer and deliver an accurate cast. If you are coming down here to do some fly fishing please take some time to go into the backyard and practice on a windy day. 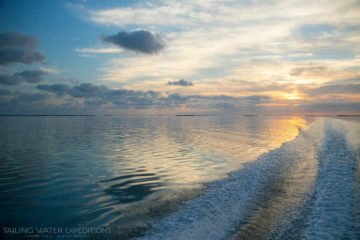 You will appreciate it when you get down here to the bow of a skiff and have a group of monster tarpon barreling down on you in three feet of water. If you have any questions about planning your vacation down here to the Keys please feel free to reach out. Some insider knowledge on places to stay or even some local favorite restaurants can go a long way! Thanks for checking in and hopefully we will hear from you soon!